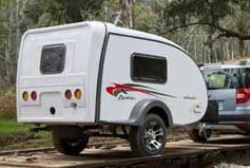 Golf Camper Trailers have a well-earned reputation for their quality construction, the company using some of the most advanced production techniques in RV construction today. 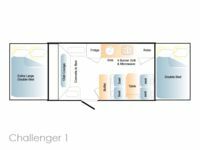 The new Golf Challenger range is formed using one piece of insulated fibreglass. 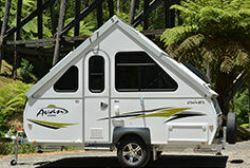 Both the inner and outerskins of the trailer are made from gel-coated fibreglass and then filled with structural foam for increased strength and insulation. 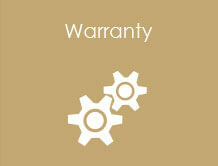 Set up and pack down is easy with the stainless-steel lifter system that will never rust or jam. 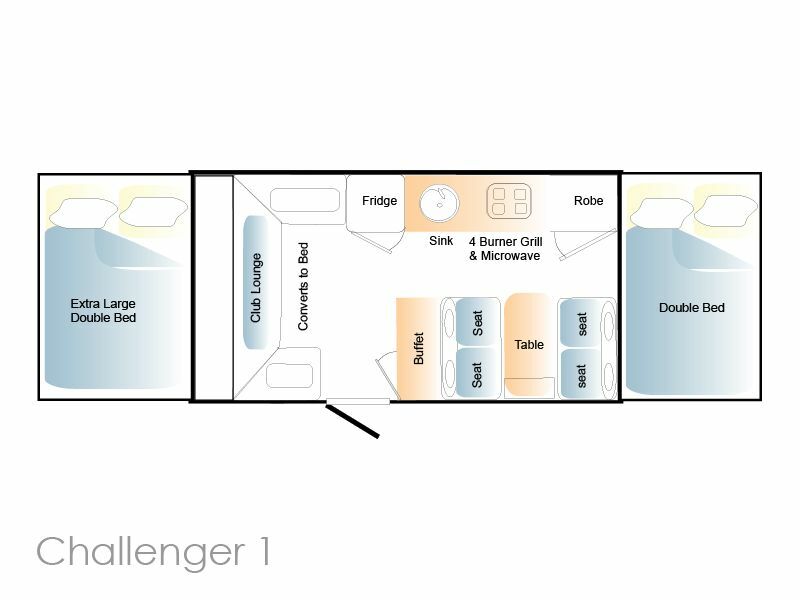 Sleeping up to six adults, the Challenger 1 will be taking you away with ease for years to come. 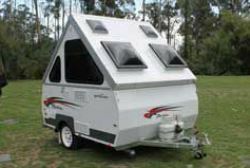 Loaded with features and quality fittings and appliances - this camper offers great value for money.